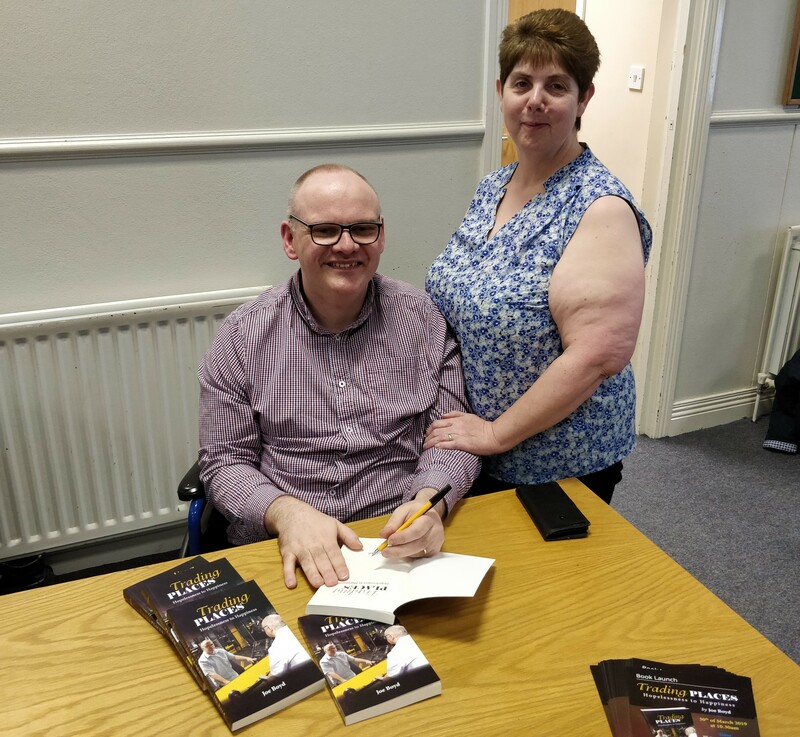 Ballymena journalist and author, Joe Boyd, enjoyed a successful launch day for his autobiography – Trading Places: Hopelessness to Happiness. 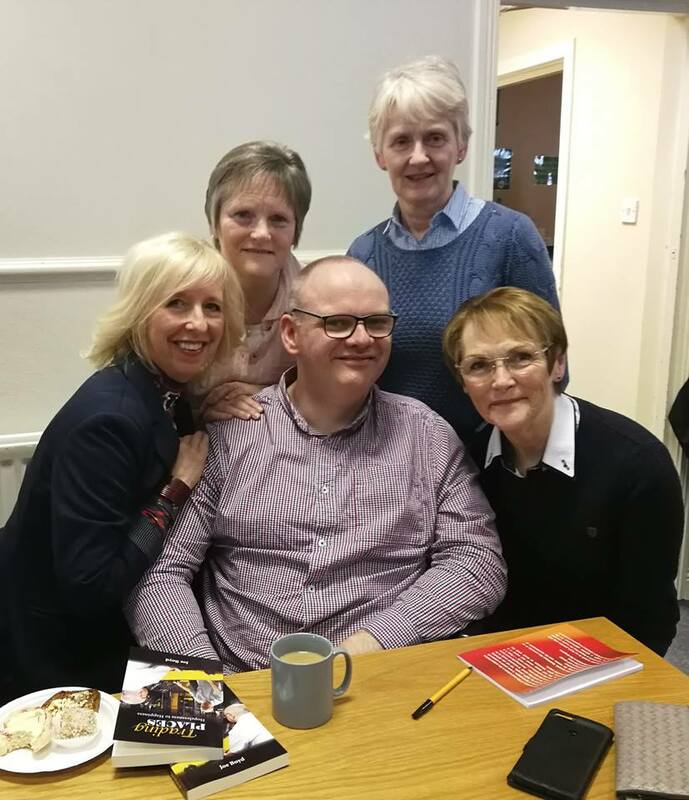 The book launch took place at Victory Praise Community Church in Pennybridge, Ballymena on Saturday 30th March 2019. Around 100 people joined Joe to celebrate his special day and buy a copy of the book. His guests included colleagues from Timeless Publications, Ballymena Times, The Church Page and Pure Wellness gym where he serves as a volunteer. It quite simply made Joe’s day when he was joined by some of his former teachers and physiotherapists from Beechgrove School, the place where his early journalistic aspirations were nurtured. Looking back on the day, Joe said: “I was overwhelmed and blessed by the number of people who came along to celebrate the launch of my book. Never in my wildest dreams did I believe that so many people would be interested in my story. He also acknowledges his wife Rachael, his mum Margaret and friends, Lorna, Hester and Caroline who excelled themselves with the catering during a busy day. Also thanks to his sisters-in-law Fiona and Joyce for their help on the day. Trading Places: Hopelessness to Happiness by Joe Boyd is available to buy online. You can order your copy now from the Timeless Publications website here or from Amazon here. Alternatively, you can pick up a copy at Victory Praise Community Church, Ballymena or Pure Wellness Gym at Green Pastures Church, Galgorm, Ballymena.